Platinum dining set is made in Italy. Request info. 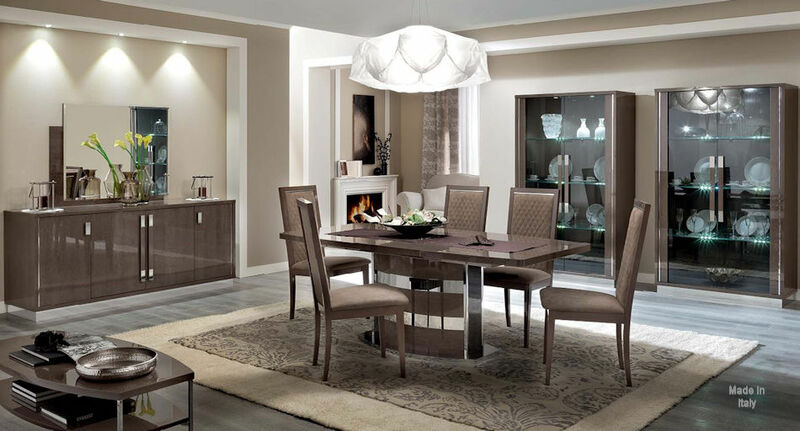 Roma dining set in Walnut lacquer finish is made in Italy. Also available in White lacquer finish. In stock. 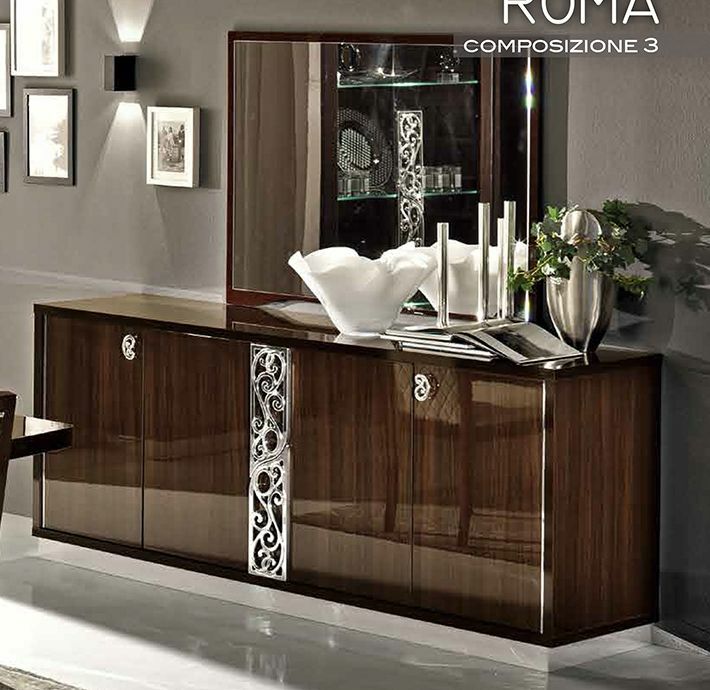 The Italian made the Roma buffet in Walnut lacquer finish is off the charts. Also available in Walnut lacquer finish. Made in Italy.